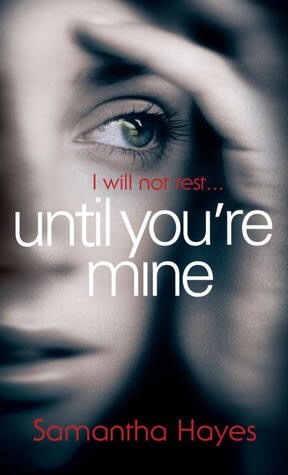 Until You’re Mine has been recommended to me more times than I can count and I bought it forever ago and am now kicking myself for not having read it the moment I received it! This was a cleverly plotted, unpredictable read that kept me entertained and totally captivated the whole time. This is told from three perspectives, Claudia, Zoe and Lorraine. This seems like a pretty straightforward story, but nothing is ever that simple, is it? Claudia is heavily pregnant and needs help when her husband has to leave as he’s in the Navy, so they hire Zoe as their live in nanny and it’s clear from the jump that she has many secrets. Lorraine is a police officer working on a case where pregnant woman are being attacked and murdered and her investigation causes her to cross paths with Claudia and Zoe. Pregnancy and babies are at the forefront of everything and I’m really glad I didn’t read this while I was pregnant, yikes!! I loved the mutual distrust between Zoe and Claudia, it added so much tension and was a bit like a good old fashioned game of cat and mouse. There is a sinister vibe, something dangerous lurking just around the corner that intrigued me to no end. The writing was slick and fluid and by the last half I was well and truly gripped. I don’t want to say too much more, but the ending of this was explosive, chilling and the last sentence? Creepily perfect!